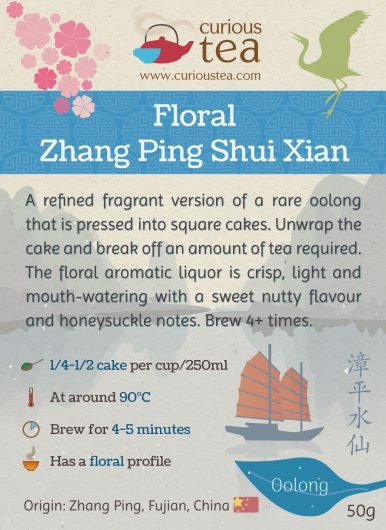 Floral Zhang Ping Shui Xian is a refined fragrant version of a rare oolong that is pressed into square cakes. The highly aromatic floral liquor is crisp, light and mouth-watering with a sweet nutty flavour and honeysuckle notes. The weight on our tea packets for this tea is indicative only due to varying weights of the cakes, which are 8-12 grams each. 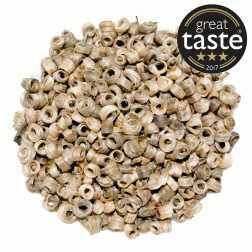 Our 10g sample packs contain one cake for you to try while the full sized 50g pouches have 5 cakes. Floral Zhang Ping Shui Xian (漳平水仙) is an unusual and rare oolong that comes pressed into square-shaped cakes. Each cake is individually wrapped in paper for storage and then further wrapped into a vacuum sealed foil pouch to preserve the flavours. We have left each cake wrapped as they are in order for them to reach you in their optimum condition. 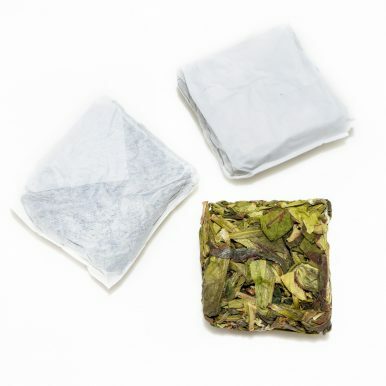 We carry three Zhang Ping Shui Xian teas for you to choose from. This Floral Zhang Ping Shui Xian oolong is, as the name suggests, the most floral out of the three, with a lighter but highly aromatic liquor. 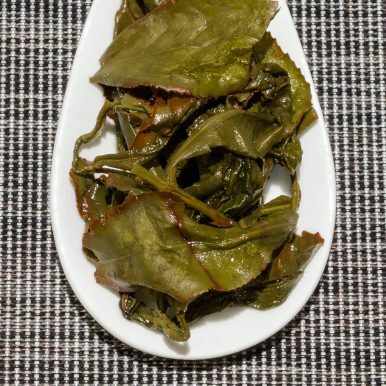 Our Roasted Zhang Ping Shui Xian oolong is a more baked variety of this oolong, yielding a liqour that is less floral but more full bodied, with a creamy and nutty flavour. 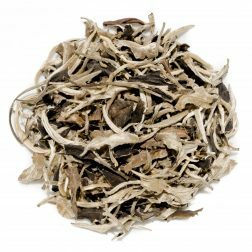 Finally our Black Zhang Ping Shui Xian is a black version of this tea that has been allowed to oxidise completely, producing a tea that is complex and wholly different. 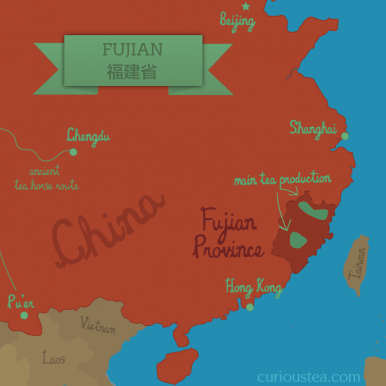 Zhang Ping is a city in the southern part of Fujian Province and it is around this city that this tea is grown. Shui Xian (sometimes Shui Hsien) is a type of oolong tea that comes from Fujian Province. 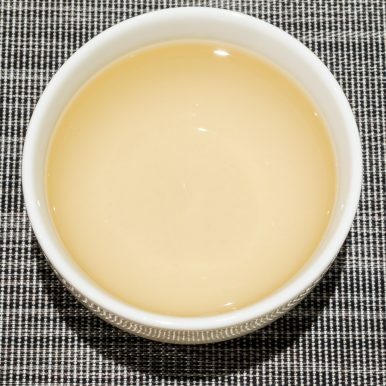 Shui Xian translates as ‘narcissus’, ‘water sprite’ or ‘water lily’ in English and is a type of oolong that is famous for the honey aroma and flavour. This Floral Zhang Ping Shui Xian was plucked in late summer 2016, after which it has undergone careful hand processing. The large leaves are pressed into square cakes, each cake being 8-11 grams in weight. This tea is about half oxidised (something you can clearly see on the wet leaves). 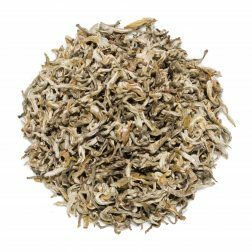 Unlike our Roasted Zhang Ping Shui Xian this tea has undergone minimum baking in order to highlight the more floral and sweet notes. The resulting liquor is lighter and crisper, less creamy with a more pronounced floral aroma and taste. To make this tea, unwrap the cake and break off an amount of tea required. If using the whole cake, it can be agitated once in water, so the leaves start coming apart in order to brew properly. The mixed coloured leaves produce a light mouth-watering liquor with a strong floral aroma. 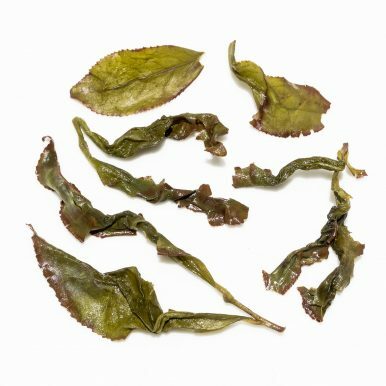 This Floral Zhang Ping Shui Xian oolong has a smooth crisp flavour that is highly floral and sweet in character. 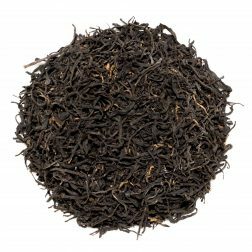 Honeysuckle, wild honey and nutty notes complete the profile, making this a complex and highly captivating tea! We suggest brewing parameters of 90°C for 3-4 minutes according to your taste, brewing 4 or more times. You can increase the temperature to 95°C and up the brewing time for subsequent steepings. 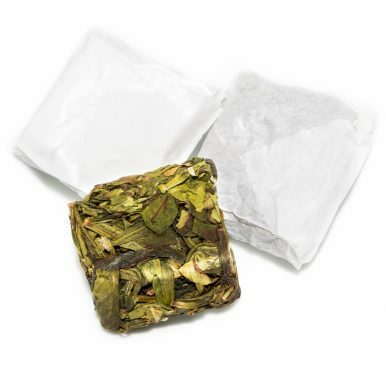 An exceptionally made jasmine scented green tea with a beautiful and strong fragrance. The liquor is light and smooth with sweet, floral and slightly fruity notes.